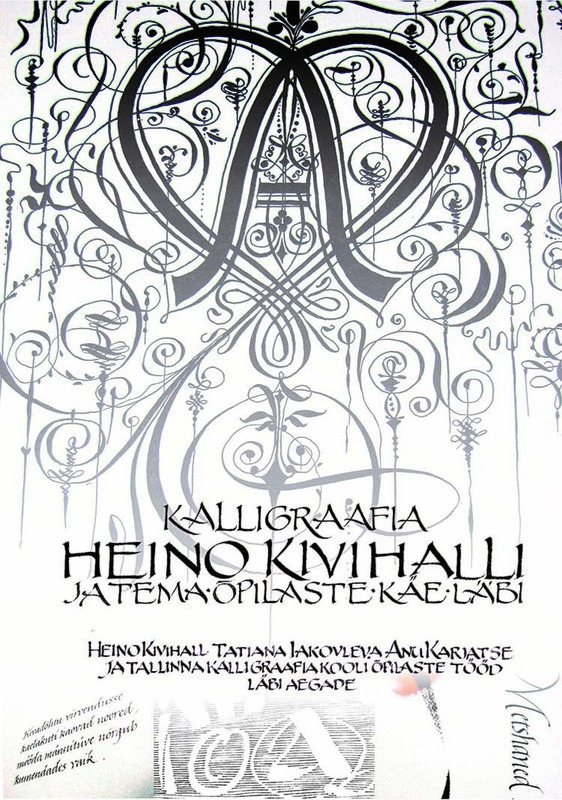 The exhibition features the calligraphy works of Heino Kivihall, his students Tatiana Iakovleva and Anu Karjatse, and the students of the Tallinn School of Calligraphy. You can view pictures from the exhibition opening on the Tallinn School of Calligraphy Facebook. You can visit the exhibition in Kuusalu Cultural Centre (Kuusalu Rahvamaja) in its opening hours based on prior agreement. Please call: +372 5333 8379 (Ulvi Rand).